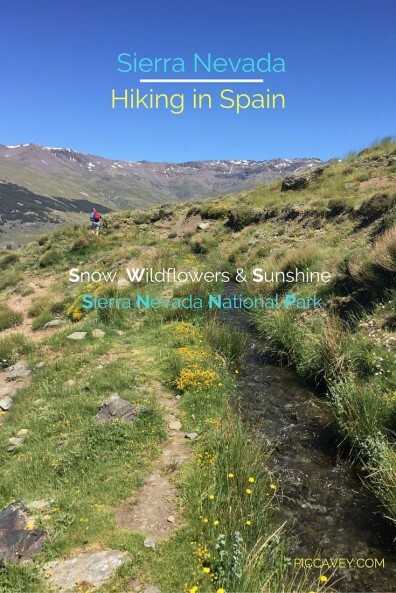 At the end of June I took a trip around the entire park of Sierra Nevada. Stretching across Granada and Almeria regions, this immense natural space has all kinds of landscapes. 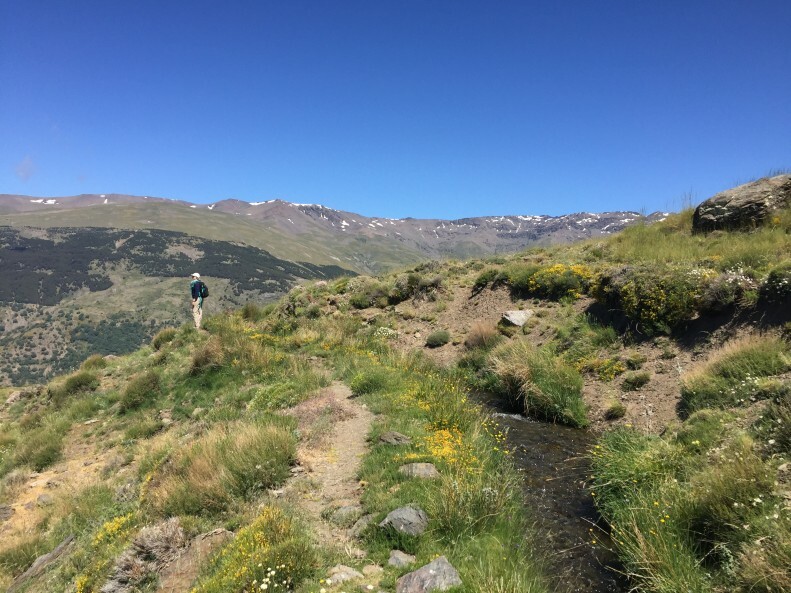 From Dilar to Lanjaron, Mulhacen to Los Berchules, Alboloduy to Lugros all terrains were covered. Some of these views reminded me of other parks I’ve seen in USA and throughout my travels. It’s a varied place to discover and I’ll recommend it any time of the year. Due to the height of the park (highest point is 3482 Mulhacen) it’s much cooler up there. What is it? 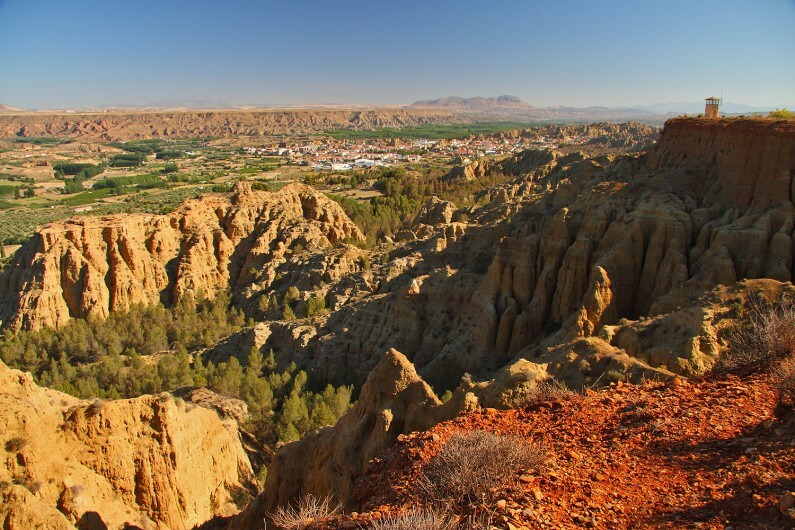 A National Park and Natural park spanning areas in Granada and Almeria province. Where to eat/stay? Stay in Capileira at Finca de los Llanos. 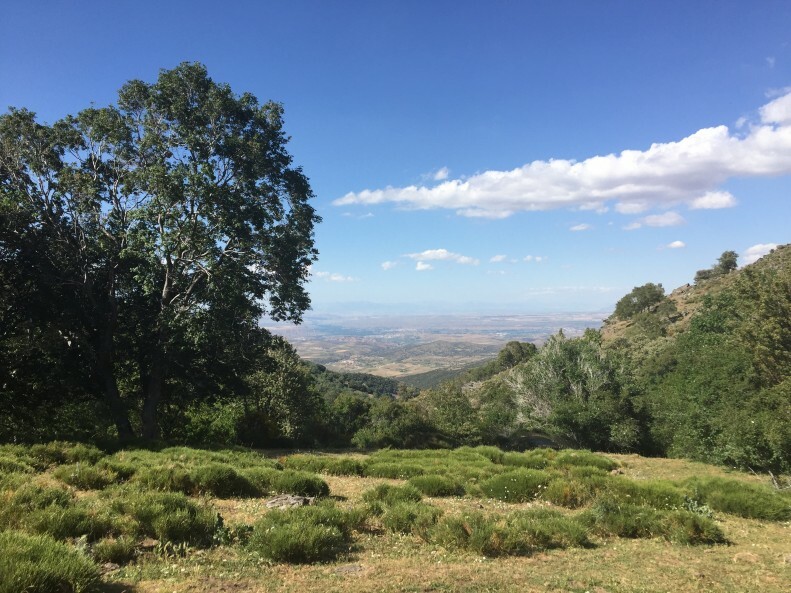 Eat with views in Pampaneira at the Ruta del Mulhacen. What is it? A National Park in Southern Spain. Where to eat/stay? Stay in Hotel Zerbinetta in Dilar, Don´t miss the organic/local food here. (non residents always welcome) Horse enthusiasts will also love the stables in the building below the hotel gardens. Reminds me of: Bryce Canyon, USA / Cappadoccia, Turkey. Where is it? Purullena, close to Guadix in the northern part of Granada province. What is it? The natural monument known as the Cárcavas de Marchal covers 13 acres of rock formations. (5,2 hectares) These clay deposits have been shaped by water erosion. These unfertile areas have been used for cave homes as they are easy to dig out in the soft clay. How to visit? 4 x 4 tours or individual tourism from the main road of Purullena. 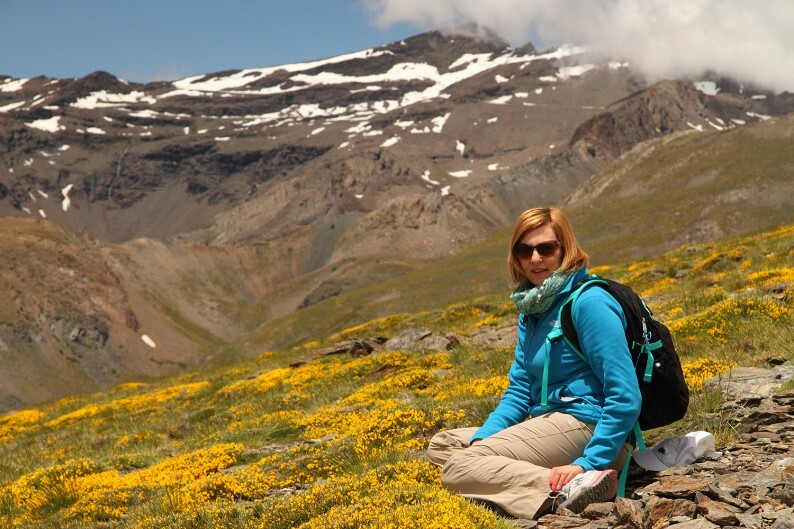 Take a tour with Natureda to track down mountain goats, Iberian Lynx, eagles or other local animals. Where to eat/stay? Great food and accomodation Meson de Tio Peroles, Abla. What is it? A varied forest populated with oak trees, wild cherry trees, willow trees and other varieties. This area is especially interesting in Autumn when the leaves are all colours, green, red, oranges and yellows. I saw wild roses along the path too. This trail has plenty of cattle grazing along it and some sheep too. This land has an interesting past and has an abandoned chapel at the trail head, this ruin is part of the Cortijo de Camarate which used to be owned by Spanish nobles until this was acquired by the Andalusian regional authorities. Perfect for a Sierra Nevada Hiking day out. How to visit? Guided tour with Sierra y Sol. Hike up to see the cattle grazing around the area. Where to eat/stay? 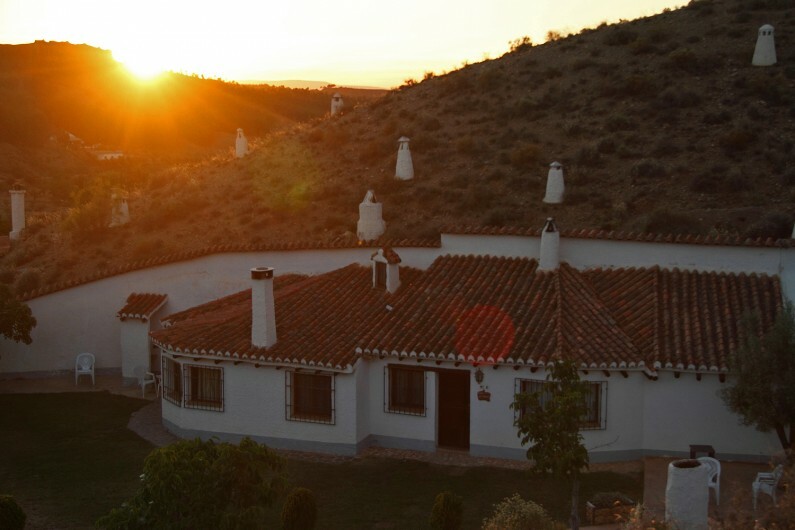 Great food and accomodation at Alcudia de Guadix at Cuevas de Tio Tobas. Where is it? Alboloduy, on the edge of Sierra Nevada Natural Park in Almeria province. What is it? 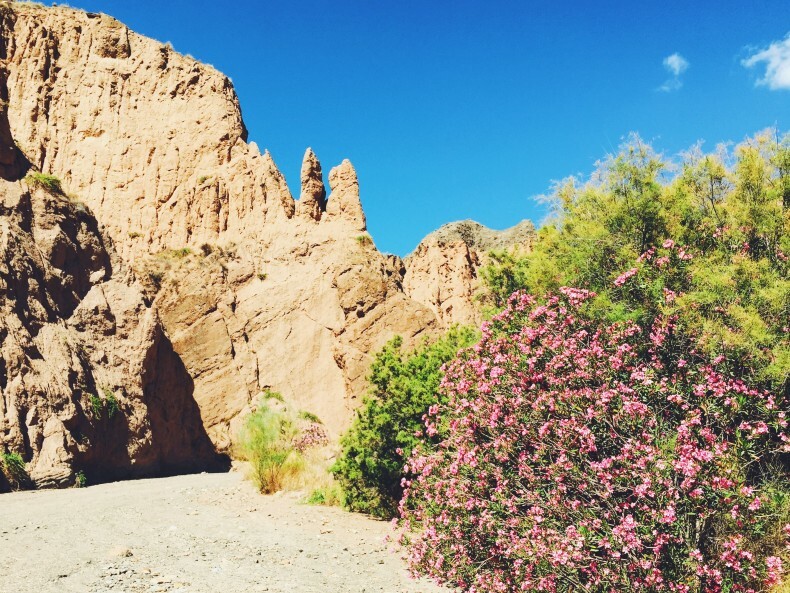 A dry riverbed close to the village of Alboloduy with interesting geological formations. What is it? Natural caves converted into accomodation around Purellena, Alcudia and Guadix. These caves are warm in winter and cool in summertime. Buildings using the natural resources of the region and no need for air conditioning. How to visit? Visit the Tropolois centre in Alcudia de Guadix. In this centre you can make your own cheese and even take it home with you. What is it? : Hillside villages built in Berber style. Although most villages are painted white nowdays, the style matches those seen around the atlas mountains of Morocco. From Lanjaron right up to Trevelez and then along through Laroles and down to Almeria. 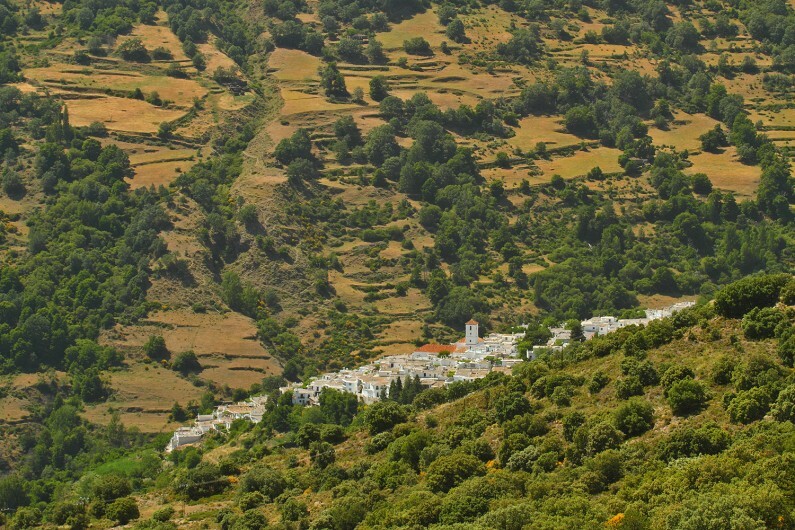 These villages stretch right across the Sierra Nevada Natural Park. How to visit? Buy local crafts and food in the village shops, hike the trails between the villages and relax in this natural environment. Where to eat/stay? Los Berchules. A great family accomodation with swimming pool, small childrens play area, good local food and even a vintage table football game.